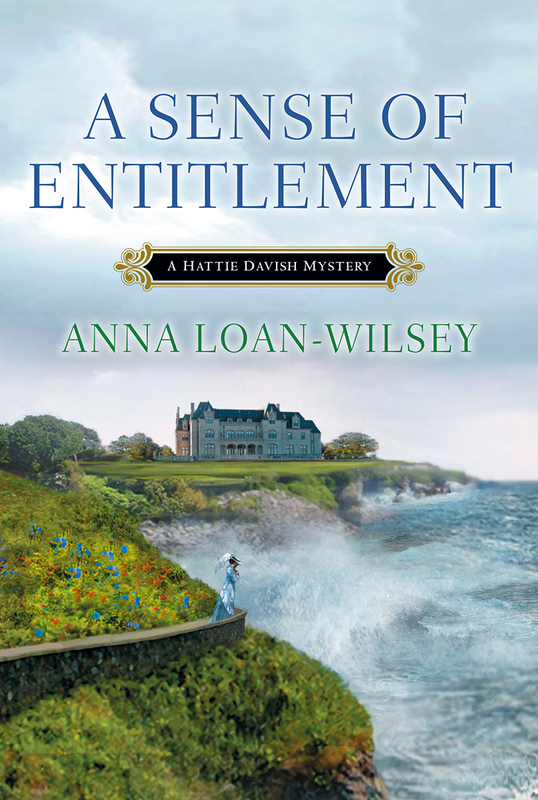 A SENSE OF ENTITLEMENT by Anna Loan Wilsey, a new tour and a giveaway! Anna Loan Wilsey lives in a Victorian farmhouse in the Iowa countryside with her husband, a four year old daughter and her old yellow dog. She was born and raised in Syracuse, NY and has lived in Finland, Canada and Texas. 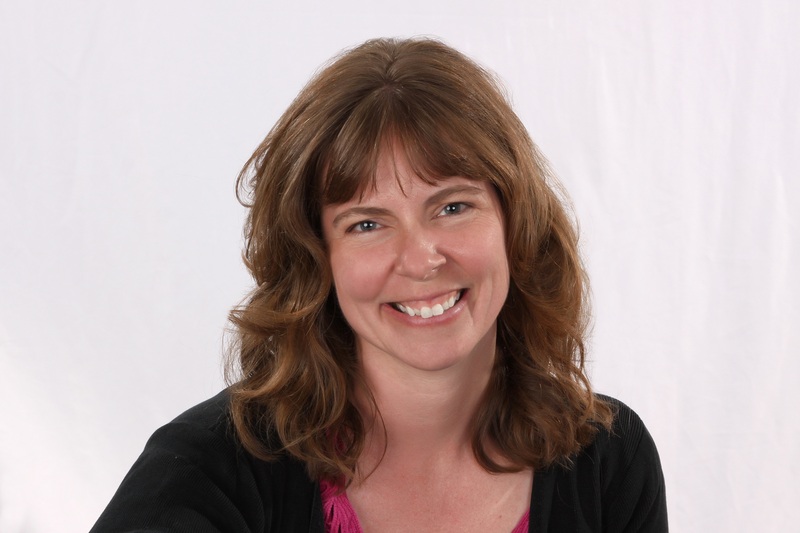 Anna has a BA in Biology from Wells College in Aurora, NY and an MLIS from McGill University in Montreal. She’s a biologist, librarian, information specialist and now with the Hattie Davish Mysteries Series, a novelist. A Lack of Temperance, her first novel and first in the Hattie Davish Mysteries series, was the #1 bestselling historical mystery on Amazon.com. She is a member of Mystery Writers of America and Sisters in Crime. A Sense of Entitlement, the third in the series, is now out and Anna is here starting her tour with Great Escapes Virtual Book Tours. Be sure and leave a comment below for a chance to win a print copy of A SENSE OF ENTITLEMENT (US and Canada only) and for a chance to win a set of autographed copies of the entire series, go HERE. And now, welcome Anna. You have had Hattie travel to the Ozarks, Illinois, and now Newport, RI. How do you research all these places? Travel to each location for research could get quite costly I would imagine. Although there is cost involved, I feel it is vital to the book to visit each location. Not only do I get a sense of the place: the sites, the smells, the distances from one landmark to the next, the climate, the flora, etc. but local libraries and universities have resources not available anywhere else. I often spend more time in a basement archive scanning historical newspapers on microfilm as I do taking photographs of places I might want to reference in the book. But as you say cost is a factor, as is time, so I often only visit once for a few days. Luckily once I’m home, I can use Interlibrary Loan or the internet to access additional resources I need. Do you have a connection to Newport? No, I actually don’t. I grew up in New York State and therefore always knew about the “cottages” but had never visited until quite recently. For A SENSE OF ENTITLEMENT, I had planned to use a town that set Hattie among the richest Americans of her day. I couldn’t find a better location than Newport. Many cozy mysteries are set in fictional places. Setting yours the way you do adds a lot of work. Different yet real locations to get right each time plus the historical accuracy. Why do you think it is that important to the stories? You’re right that it’s a lot of work! But to me it is part of what makes writing the stories fun. When I began the series, I decided not only to “write what I knew” but also to write what I love. I love history. I love research. I love travel. To set each book in a different yet real location allowed me to indulge in my own passions. But as to why it is important, ultimately I think by taking many of my plotlines from true stories I uncover during my research of real towns the series stays fresh. Readers enjoy being immersed in the history and the fun of discovering (or rediscovering) a new place and new characters with each book. A female private, and travelling, secretary in the 1890’s – would that have been common or rare? How did you come up with the idea? Private secretaries in the 1890’s where common and some of them did have to travel occasionally to find work. The vast majority of these were men. Women worked as secretaries in industry and businesses and not necessarily for individuals. There were female private secretaries at the time, many of them working as social secretaries (as Hattie does in A Sense of Entitlement) and most had long term employment with one employer. Hattie, as someone who has short-term assignments wherever she can find the work, would’ve been rare. When I was developing Hattie’s character, knowing she would be supporting herself, I considered which occupations were suitable and available to women in the late 19th century-teacher, nurse, librarian… But I also wanted her to be able to travel to different places. When I discovered that “lady typewriters” were becoming common during this time, I knew this was a job Hattie could do anywhere. Where will Hattie be going in the next book and when can we expect to find it on the shelves? In the next book Hattie will be going home to St. Joseph, Missouri, a once bustling western gateway city on the Missouri River, which was the birthplace of the Pony Express, site of Jesse James’ violent death and home to State Lunatic Asylum #2. I have my first draft completed and hope to see on the bookshelves by next summer. What is your favorite food? I love tomatoes and anything made with them! What is your favorite TV show? I couldn’t possibly name one because I love anything historical produced by the BBC. What is your favorite music? I love pop, jazz, classical and show tunes. If I had to pick one song, it would be Mozart’s Ave Verum Corpus. If I could pick two, I’d add, I Will by Lennon and McCartney. Please tell us about Hank, Billy, Bob and Jethro. Just thinking about them makes me laugh. Hank, Billy, Bob and Jethro were Rhesus monkeys I had the pleasure to know and work with when I was a research technician in an animal behavior lab, my first job out of college. They were playful, clever and mischievous. Every day the gang, especially Billy and Bob, would prove the adage, “monkey see, monkey do,” often to my chagrin! Hank was my closest buddy but it was Jethro that would let me groom him. I’ve enjoyed having you here today, Anna. Before you go, is there anything else you would like to tell your readers? Thank you so much for having me. I would like to say thank you to your readers as well, for without them, I wouldn’t get to do what I love. I’d also love to hear from them. So if they have any comments, questions, suggestions for new towns for Hattie to visit, etc. to please let me know. Connecting with all of you is another part of what makes writing cozy mysteries special. Thanks again! Traveling secretary and dilettante detective Hattie Davish is bringing her talents to a small New England town whose wealthy residents have more secrets than they do money. . . When Hattie Davish’s job takes her to Newport, Rhode Island, she welcomes the opportunity for a semi-vacation, and perhaps even a summer romance. But her hopes for relaxation are dashed when she learns that members of the local labor unions are at odds with Newport’s gentry. Amidst flaring tensions, an explosion rocks the wharf. In the ensuing turmoil, Mr. Harland Whitwell, one of Newport’s most eminent citizens, is found stabbed to death, his hands clutching a strike pamphlet. All signs point to a vengeful union member bent on taking down the aristocracy, but Hattie starts digging and finds a few skeletons in the closets of the impeccable Whitwell mansion. As she strikes down the whispers spilling out of Newport’s rumor mill, she’ll uncover a truth more scandalous than anyone imagined–and a killer with a rapacious sense of entitlement. . .
Don’t know how I missed this series! Please enter me to win this. Meanwhile I’m going to go find the first two! I love reading books with secrets, and this one sounds so good. I love the pretty cover. Thanks for having the giveaway. This novel sounds captivating and memorable.Thanks for this great giveaway and wonderful post. I was happy to learn of another mystery set in Newport. I am just about done reading Alyssa Maxwell’s book, Murder at the Breakers, which is all about Newport, and could hardly believe that another book was out about Newport too. Having lived in this area of New England all of my life, I love to read books about RI. CT. and MA where we have so many connections. I will be looking forward to reading A Sense of Entitlement very soon; it would be great to win it, but then again, everyone wants the same so I will plan on ordering it. Thank you. In accordance with FTC Guidelines for blogging and endorsements, I would like to let everyone know that books featured on this blog were either provided by the publisher or author or were purchased by me or borrowed from the library. The books I received from publishers and authors were provided for review and no payment was received by me and did not influence my opinion of the material. I’ve made it very simple. If I can’t give it a good review, I don’t publish the review. Mine is only one opinion and I have been known to be wrong. Some author who worked hard doesn’t need me knocking their book. ♥♥♥♥♥ Absolutely Amazing. When I start adding +’s it is beyond amazing, too good to even categorize. ♥♥♥♥ I really, really enjoyed it. ♥♥♥ A good solid read If it is ♥ or ♥♥ I just don’t review it.